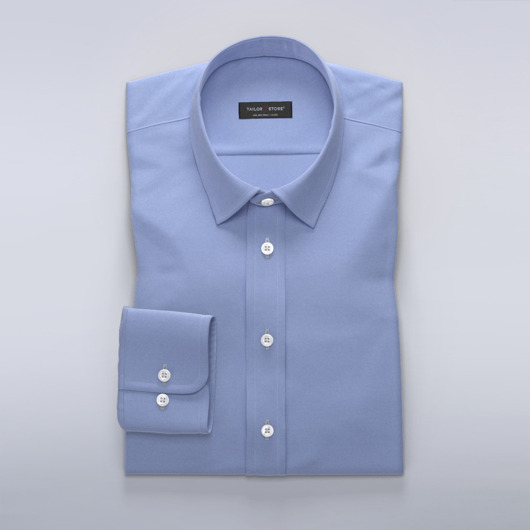 Versatile perfect blue dress shirt. Sewn in easy-iron French oxford weave cotton, this shirt has a silky texture, luxurious lustre and subtle miniature checked pattern. Worn with a suit, or dressed down with chinos, this shirt works perfectly for business or casual looks. The mother-of-pearl buttons add more than a hint of elegance. Made to your measurements.